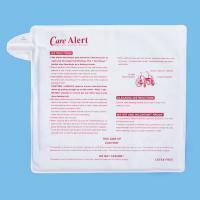 Fall Management Sensor Pad (KS-CHAIR) is used in conjunction with Senior Care Alarms to notify the nurse if the patient or senior person leaves the their chair or wheelchair. The alarm contains pressure sensor that will be activated upon leaving the seat. The alarm will emit a soft tone and flashes intermittent LED light to notify nearby personnels for assistance. Can also be connected to nursing station interface (KS-166).